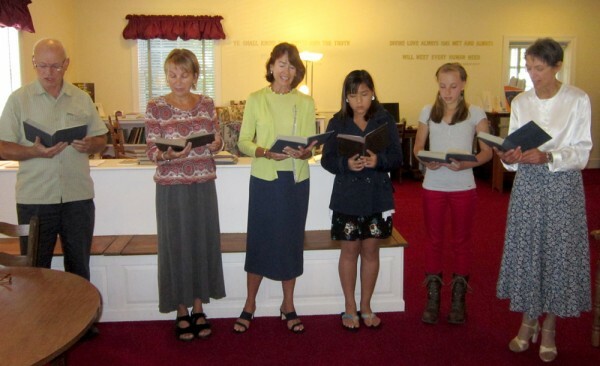 A joyous welcome to First Church of Christ, Scientist, Phoenixville. Are you searching for a deeper sense of meaning and purpose…a better understanding of your true spiritual identity…a unique perspective on healing? If so, you’ve come to the right place. Our congregation works together to prayerfully support each other, our community, and our world in rediscovering and reinstating the system of spiritual healing taught and demonstrated by Christ Jesus. A practical, proven method of healing, this Christ Science, or Christian Science, based on the Principle of Divine Love, can be applied to every challenge. We pray for, and expect, healing at all of our services. 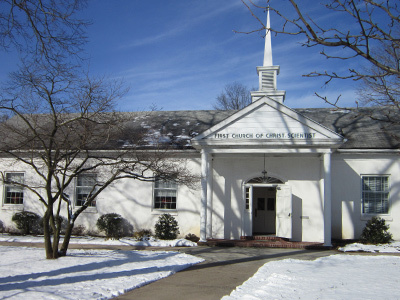 Our church is one of the worldwide branches of The First Church of Christ, Scientist in Boston, Massachusetts. We’d love to welcome you to our 11:00 a.m. Sunday Service, our 7:30 p.m. Wednesday Evening Meeting, during which testimonies of healing through Christian Science are shared, and to our Pottstown Christian Science Reading Room. We’re grateful for your interest in our church, invite you to thoroughly explore our website, and hope that we’ll have the opportunity to greet you at one of our services soon.